Mulmosog, alias Altnagapple, is a townland in Inishkeel parish, barony of Banagh. The element mosóg also occurs in Mullaghmossog Glebe, a townland in Clonfeacle parish, Co. Tyrone. Kay Muhr explains mosóg as a variant of maosóg, derived from maoth 'moist, soft. 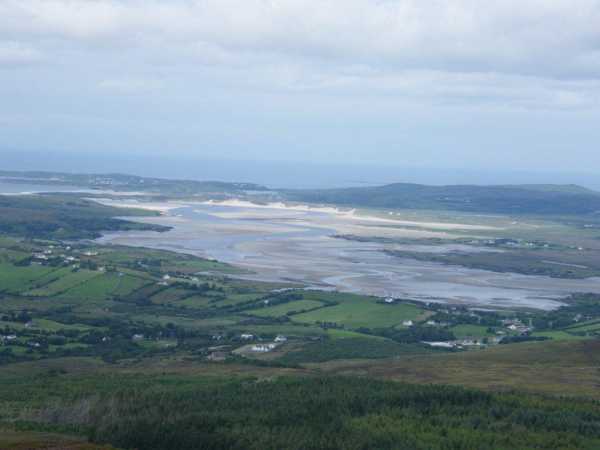 '” Mulmosog Mountain is the 1051th highest place in Ireland. Mulmosog Mountain is the most easterly summit in the Donegal SW area.